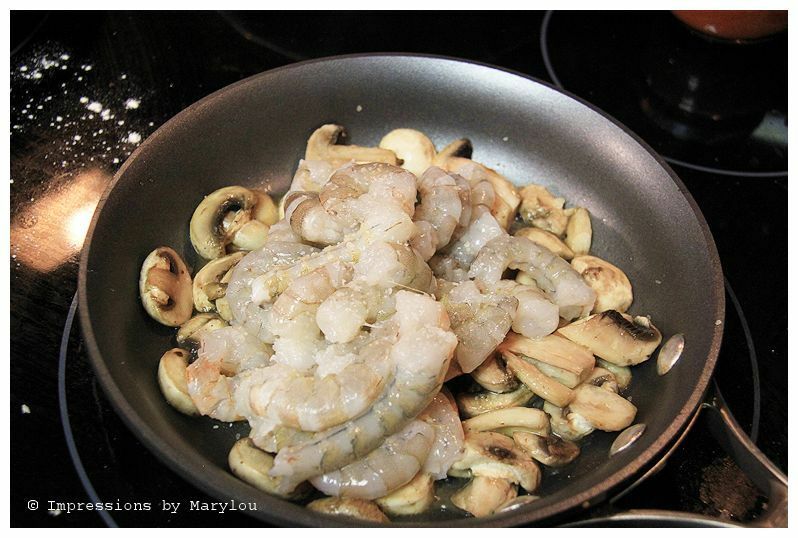 October 2012 – Got Shrimp & Grits? And there are many different versions out there. Some have cooked grits placed in a bowl, but this one is made with a little extra work: grits patties. 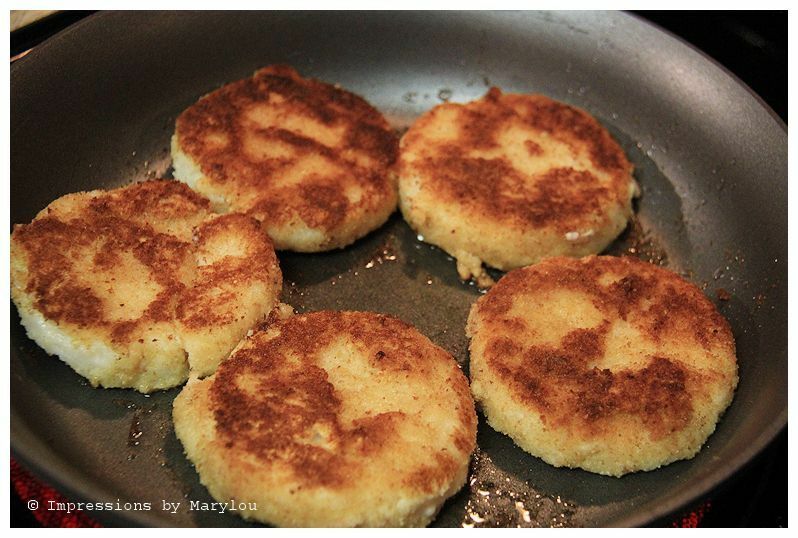 I think grits patties would be an excellent side dish to breakfast lunch or supper!! I was at the Shrimp and Grits Festival on Jekyll Island recently and the booths that sold it, used a freshly ground yellow grits from a company in north Georgia, Logan Turnpike Mill. They gave all of the vendors a choice between yellow or white grits. They all chose yellow. They said white is typically used for breakfast, and yellow for other meals. Their grits is “unbolted”, meaning it still has the germ, meaning you need to store it in the fridge or freezer so it doesn’t spoil/get rancid. We ate at a restaurant on St. Simons Island a year or so ago (Crabdaddy’s Seafood Grill, to be exact) and Lois got their shrimp and grits entree, which was delicious. A disclaimer here: this recipe is not professing to be in the same caliber as theirs or even close to what they serve. Just inspired by it’s deliciousness. They have other delicious food as well!! In one quart sauce pot bring water to rolling boil. Add butter and salt. Fold in grits and reduce heat to simmer. Cook until grits are tender stirring occasionally. When cooked remove from heat and stir in cheese. 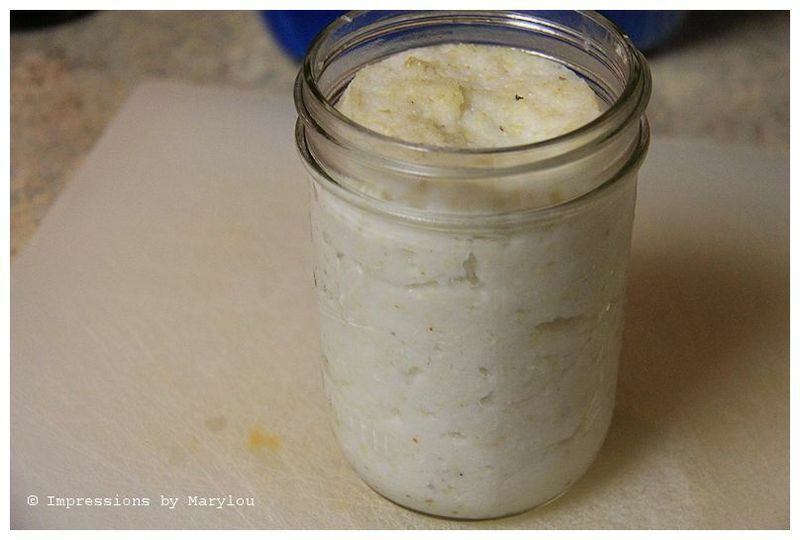 Pour hot grits into wide mouth canning jars. Cool overnight in refrigerator. Grits will be a solid mass. Dump out of jar(s) onto a cutting board. Cut into 1/2″ pieces. Heat oil in large skillet over medium high heat. Prepare egg wash: Beat egg and milk together. 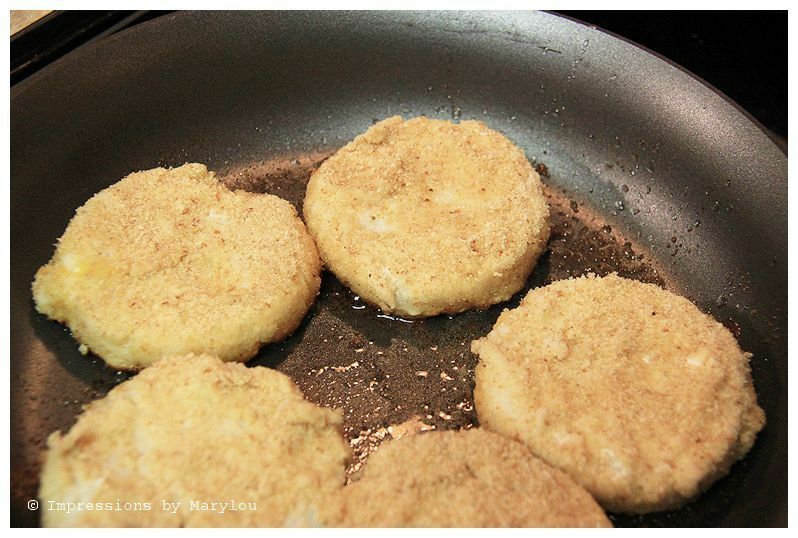 Dip patties into egg wash, then flour, then egg wash, then bread crumbs. Pan fry in oil until golden. Add red pepper flakes for a little flavor kick. 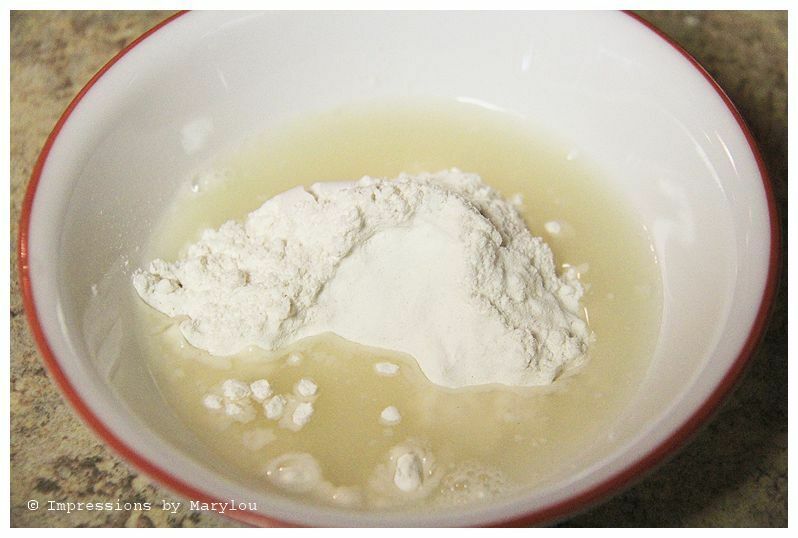 For creamier grits, replace 1/4 of the water with milk. 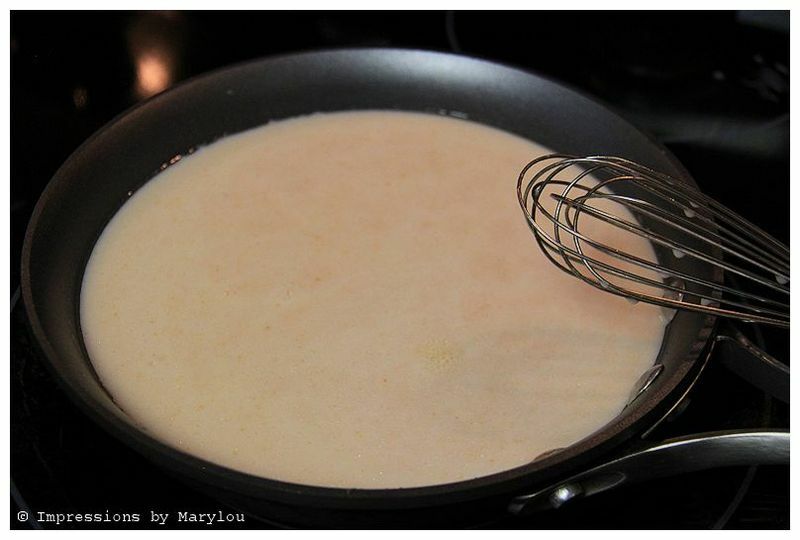 For richer grits, replace 1/2 of the water with chicken broth. Or use your favorite grits recipe and make it thicker than usual. 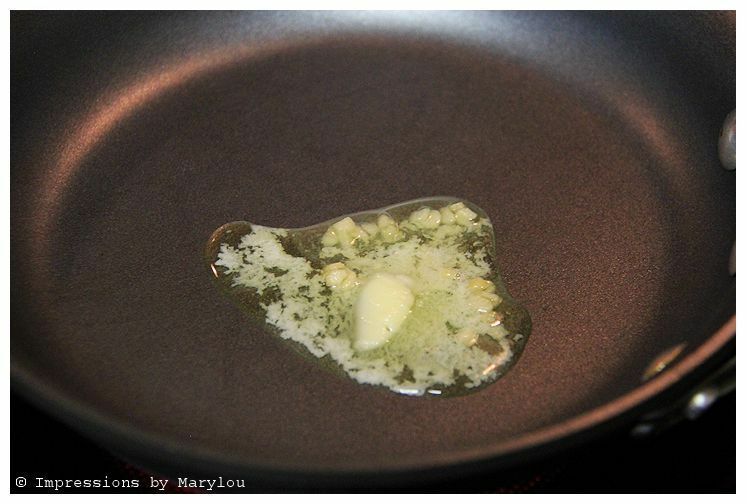 Saute garlic in butter. Add half & half, chicken broth, milk, tomato juice, mustard, salt & pepper. Bring to a boil. 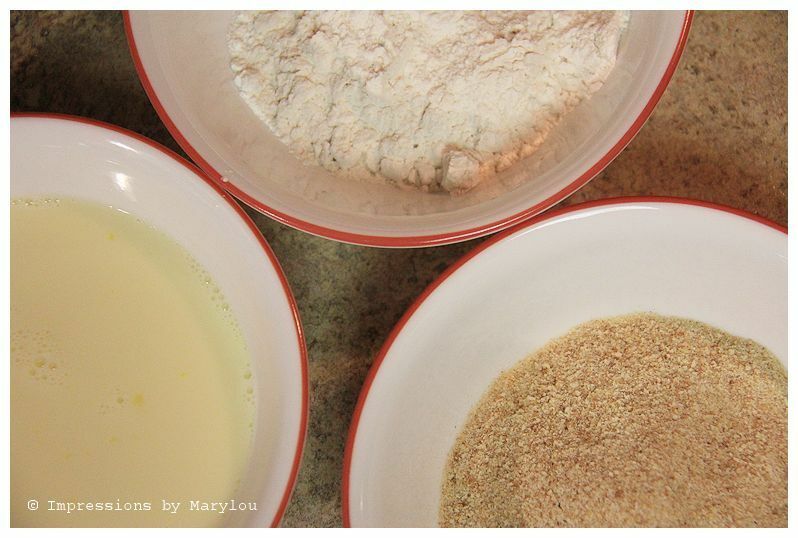 Mix flour with 1/3 c. chicken broth or milk. 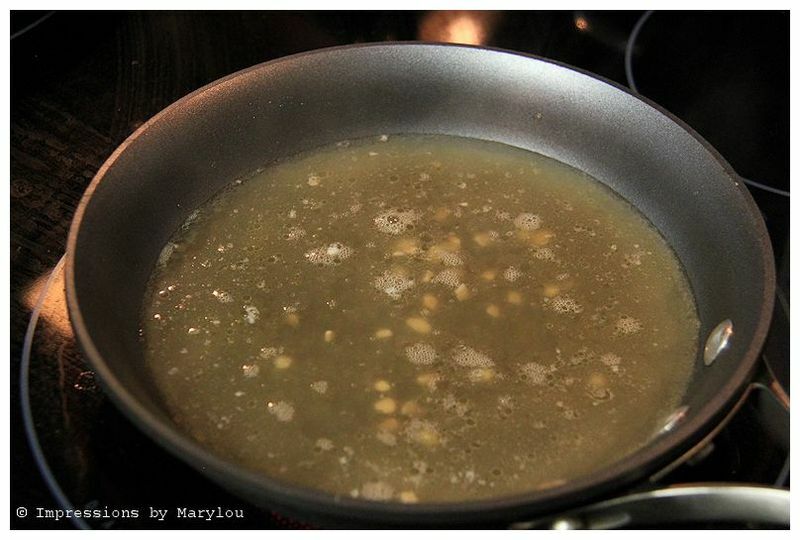 Add to hot mixture and cook until thickened, stirring frequently. Add mixed Italian cheese and grated Parmesan cheese and herbs. Remove from heat. 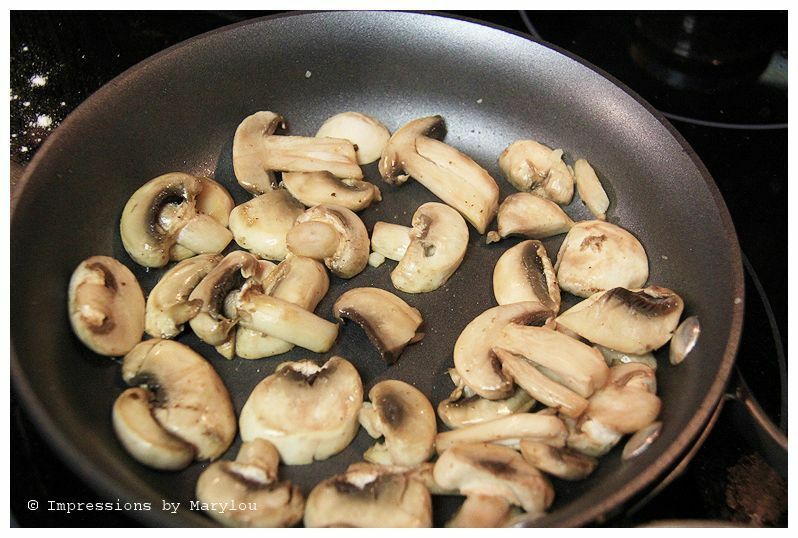 Saute the mushrooms in butter. 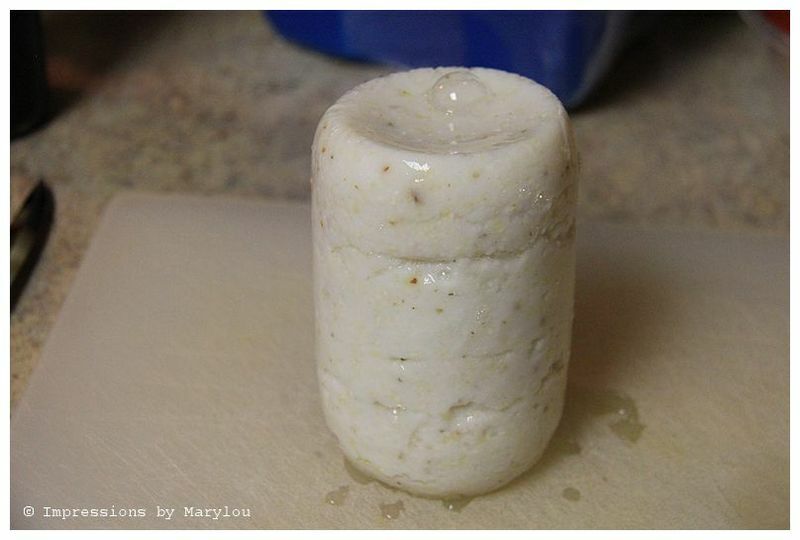 Slice sausage into small quarter-inch slices. 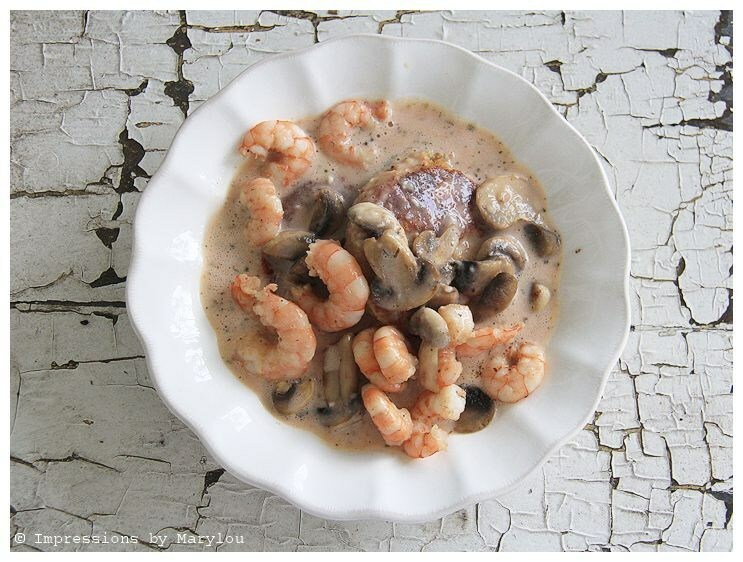 Add sausage and shrimp to mushrooms. Add seasonings and cook until shrimp is cooked. To serve: Place 2 warm grits patties in single-serving bowl. Place shrimp and sausage over patties. Pour sauce over patties. Repeat for each serving. Serves 6-8. 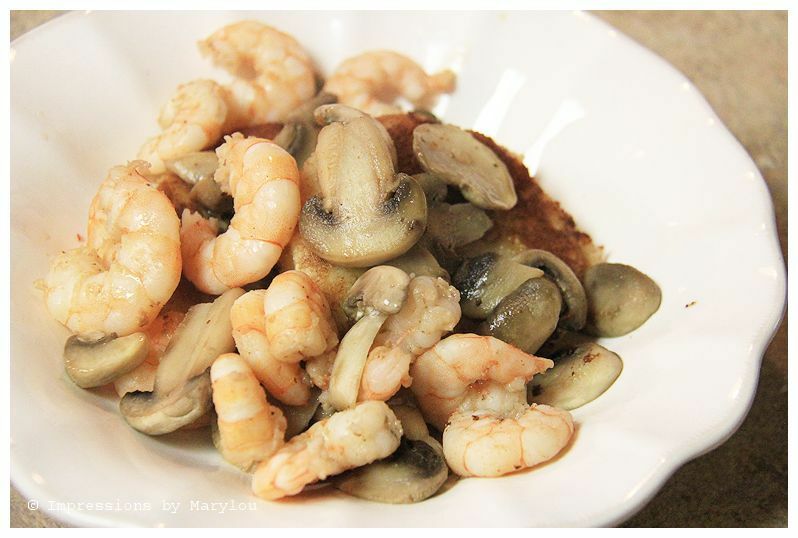 (If you REALLY like shrimp, you made want to use 1 lb. instead of 1/2 lb. for this recipe. The grits look a little funny on top. The were just a little dried out because I left them a day or 2 in the fridge uncovered. 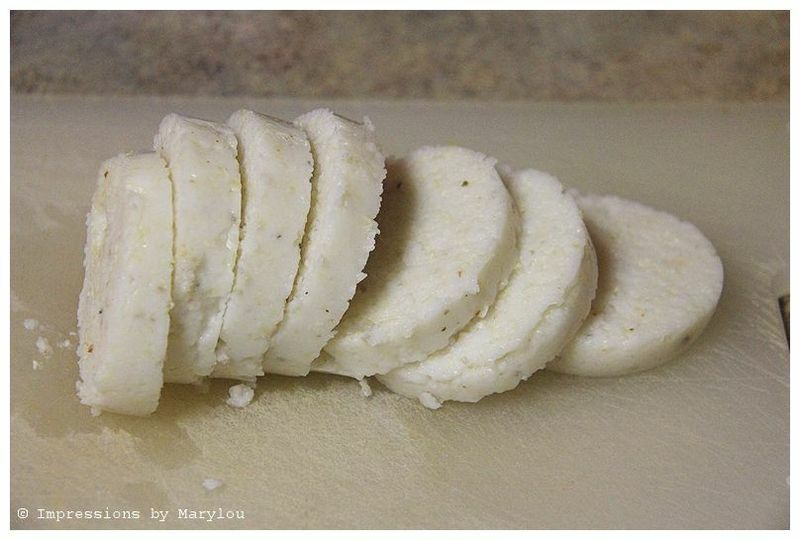 If you neglect your grits like I did (not recommended, btw), just slice it off and toss it. Yes, I admit they look just a little slippery/slimy. But you will soon forget all of that. Slice it into 1/2 inch slices. For those of you who grew up eating fried mush, this is a double-first cousin Generation Xer. Mush is made with cornmeal, which is much finer than grits. (As far as I know, fried mush was never considered gourmet. Shrimp and grits, on the other hand, is all the rage.) And this is just fried enough to make the outside a bit crunchy. The inside stays soft. 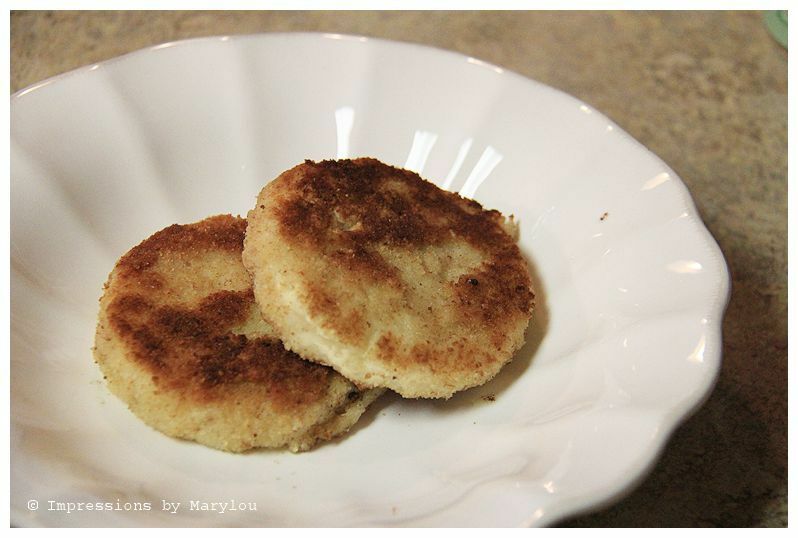 Oh, and I should mention that HERE is where I got the recipe for the grits patties. Breading these things is serious business. You’re going to go back and forth between the egg wash, flour and bread crumbs like you’re as indecisive as me trying to decide on a new purse. But in the end it’s worth it. This is a lot of last minute work. The sauce can probably stay hot the longest so if you want to make that first, be my guest. Except, why would you be my guest if you’re making the food?? Too late at night to figure that one out. Melt some butter and throw in some garlic. Butter and garlic. Elephant Garlic. Elephant & Castle. Train stations in London. That was a wild bunny trail but it is a funny story, at least it was at the time. Oh, that’s right. 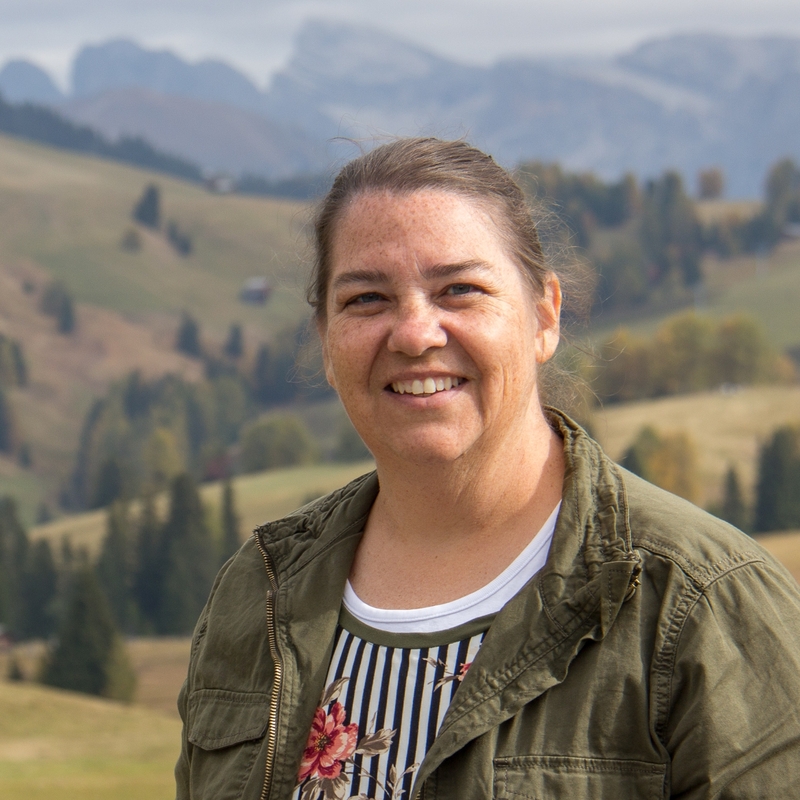 I haven’t talked much about our Europe trip yet. Except for the sheep. There were no sheep in London. Just train stations called Elephant and Castle. And a bunch of other good stuff. I’m detailed like that. Aren’t you glad this isn’t a long drawn out recipe??? Try to ignore the fact that I did not have sausage the night I made it and photographed it. Trust me, the sausage adds a nice delicious touch. 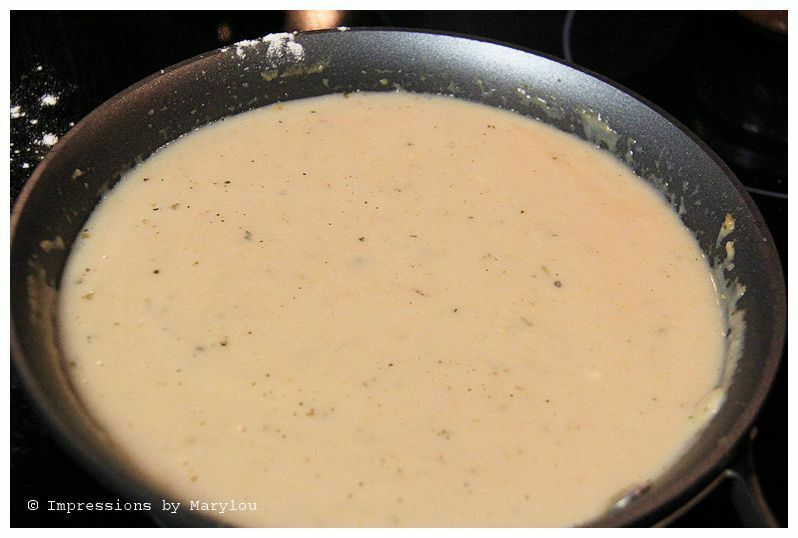 If you really don’t like soupy, thicken the sauce even more, and use less sauce. More like a thick drizzle than a pour. If you use my recipes, I would love to have feedback. Is there something you did or didn’t like? Is there a suggestion you would make? Did turn out or not turn out? I’d like to know if the recipe needs some tweaking. Some things are a matter of taste. But not all.